Color Admin Posts: changes the background colors of the posts and pages within the admin panel based on their current status. Color My Posts: lets you color your posts based on status, format, ID, category, tag, author, and other criteria. It could make you more productive when managing a lot of posts. 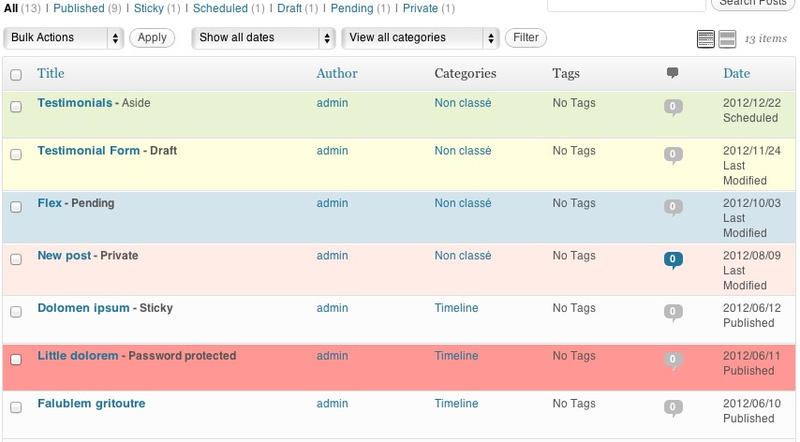 If you need to change the color of your posts within the admin area, the above plugins have you more than covered.